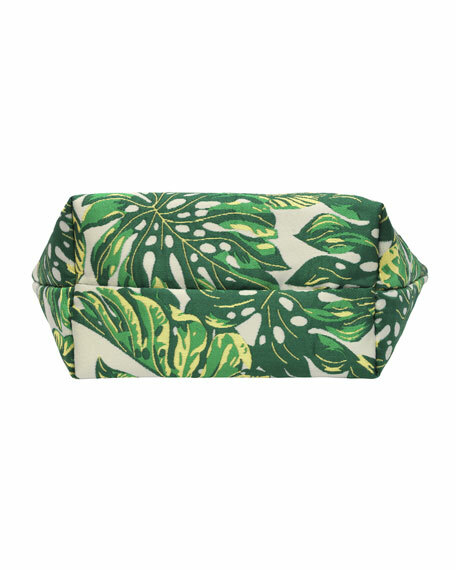 Just like the Seychelles' beloved tropical nature reservesthis collection's jacquard design is also lush with gorgeous philodendron and banana trees. 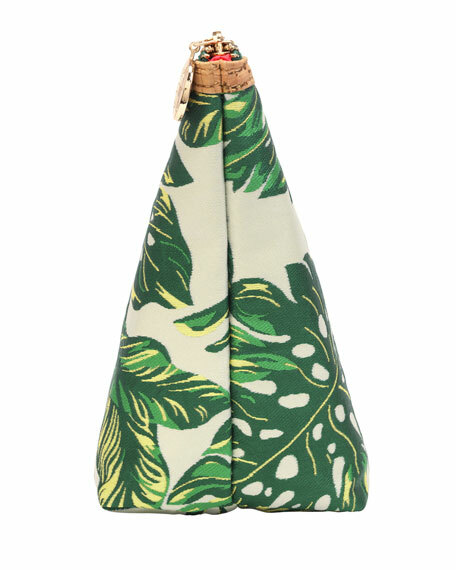 The innovative trapezoid shape allows this toiletry bag to easily sit upright on almost any surface. Bring it along for journeys near and far. 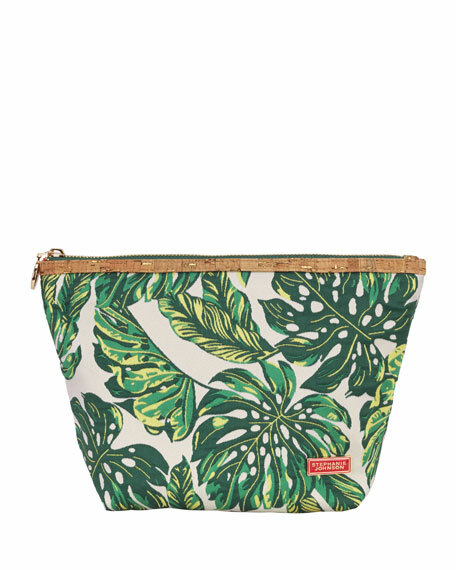 Use this fashion-forward cosmetic travel bag every daytoss it into your gym bag, beach bag or tote. Or carry it solo for another great look! 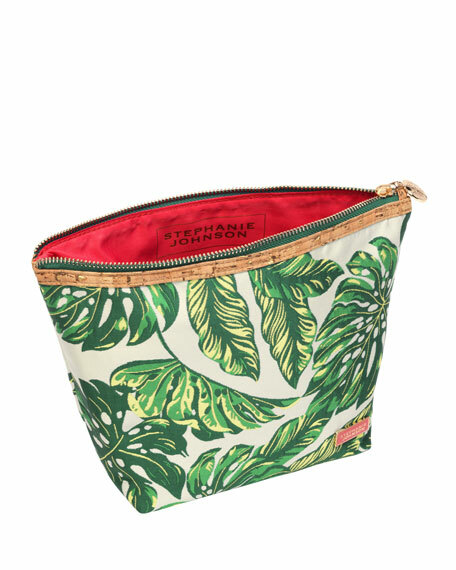 A globetrotter with an eye for design and printed fabrics, Stephanie Johnson launched her cosmopolitan line of namesake travel accessories in 2000. 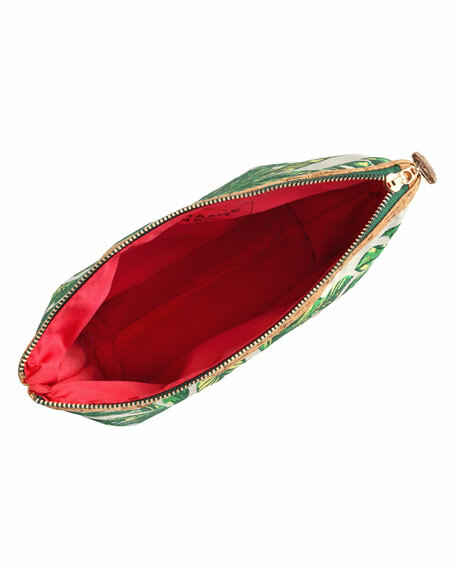 A favorite among celebrities and seasoned travelers, fans praise Stephanie Johnson bags and cases for their uniquely compartmentalized design and chic details (such as zipper pulls made with Turkish silk knots). For in-store inquiries, use sku #2569797.